It may seem like a no-brainer, but regular communication and nurturing your customers can (and usually does) lead to significant revenue growth. To build long-lasting relationships with existing customers and gain an edge over your competitors, it’s important to continuously engage with them. An ongoing communication program will help you better understand the needs of your customers and potential customers and build value-based relationships. Email automation is a great platform for a communication program. It will boost customer engagement and conversion of prospects for your business. 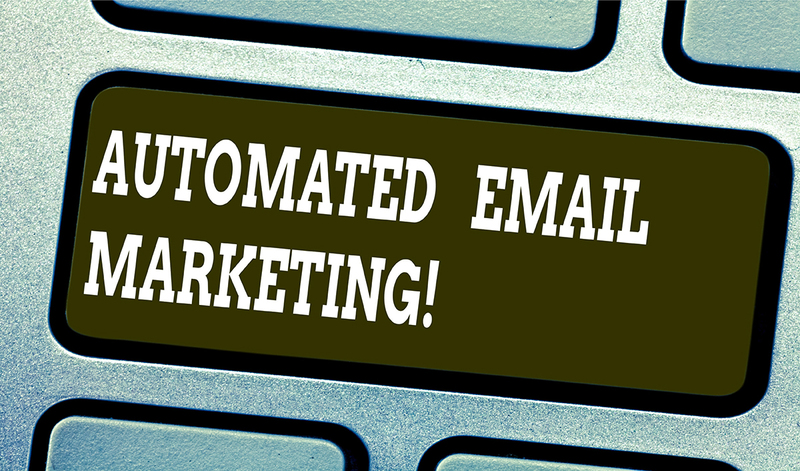 Email automation has become a significant part of online marketing. It’s all about building and nurturing customer relationships using automation technology. Specifically, it is the ability to send action- or time-triggered emails. An email automation series is comprised of a set of emails sent to customers or prospects when certain triggers are met over time. A complex email automation process is comprised of different workflow diagrams with certain decision matrixes based on actions taken by the customers. For instance, you can set up an email automation campaign around the sale of your product or services. The type of email sent can be based on the client’s action such as downloading an e-book, registering with your website, opening a newsletter, etc. According to Campaign Monitor, more than 21% of the revenue from email marketing is generated by email automation. Customers enjoy receiving personalized emails on a regular basis. They like targeted emails that cater to their needs and interests. And, that’s where email automation will simplify your life. In the last few years, marketers around the world have wasted money and time on the manual customization of emails for every contact on their list. Now, you can send automated emails to thousands of customers or potential customers at the mere click of a button. Send personalized communications — Using a robust email automation solution, you can quickly personalize your email campaigns and communicate one-to-one with your customers. The open rates of personalized emails are almost always higher than when you send emails without personalization. Organize your sales funnel — By automating your email campaigns, you add more efficiency to your sales funnel. You reduce the burden on your sales team and give them the time to concentrate on qualified leads instead of every contact in your database. Keep your business fresh in clients’ minds — Regularly communicating with your clients – prospects, too – means that they’ll think of your business more often. Moreover, by staying connected to your audiences, you strengthen your relationships and keep your business at the forefront of their minds for an extended period. Save money — Email automation can save your business time and that’s what every business wants, right? If you compare the costs of manually sending emails to that of automation, you’d find that email automation is far more cost-effective. Track and quantify results — By using email automation software, you can quickly track, measure, and enhance your email marketing campaign . You can track Key Performance Indicators such as Open Rate, Delivery Rate, Click-Through Rate, Conversions, and more. Build trust — With email automation, you can track your audience’s preferences and interests. By sending them relevant, personalized messages, you can show that you care about their needs and, equally important, understand them. Once you establish this trust, you’ll be able to build long-lasting relationships. You’ve heard the saying many times… we do business with people we know, like and trust. If you’d like to learn more about email automation, contact us today!